Just as the dust around anonymous allegations of sexual harassment against its writer Varun Grover was settling down, season 2 of Sacred Games, the runaway-hit Indian original on global streaming platform Netflix, is now facing yet another challenge – the recent allegations of abuse and harassment against one of its lead actors, Nawazuddin Siddiqui. On November 9, Bengaluru-based journalist Sandhya Menon tweeted out an account written by former Miss India Niharika Singh on her experiences of abuse and harassment in the film industry. 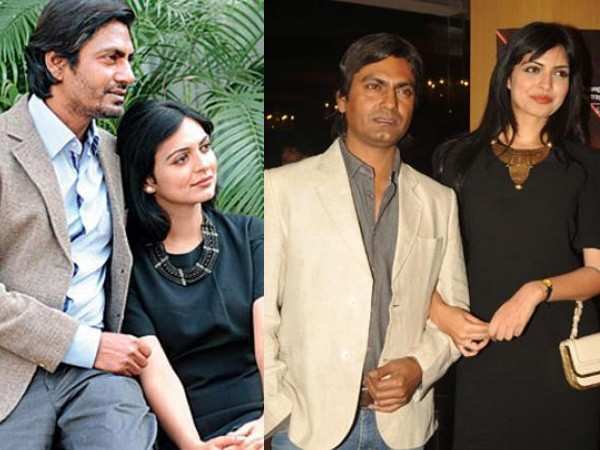 Niharika alleges that Nawazuddin Siddiqui coerced her into a relationship, and also turned abusive later. When she broke it off with Nawazuddin and did not reciprocate to his multiple attempts to initiate a physical relationship once again, the actor spread false stories about her to ensure that she wouldn’t get work, she says. Netflix has faced several challenges in going ahead with season 2 of the gangster-drama due to the fallout of allegations from the Me Too movement. After it announced the next season in September, its producing partner Phantom Films was dissolved as one of its founders, Vikas Bahl, faced allegations of sexual assault by a crew member. The other two founders at Phantom, Anurag Kashyap and Vikramaditya Motwane, however managed to salvage the project by breaking ties with Vikas, even though Anurag owned up to not acting on the complaints back in 2015. Around the same time, a Twitter user, who was collecting and publishing accounts of several women who’d been sexually harassed, put out a screenshot of anonymous allegations against the show’s writer Varun Grover. The allegations dated to his college days, and Varun vociferously denied the allegations and wrote a long post detailing why the allegations were false. With no further word from the anonymous complainant, the allegations lost steam. Later in October, Netflix said that after independent investigations into the complaints, it had decided to continue with season 2. It is difficult to imagine how the global streaming giant will now deal with the fallout of allegations against Nawazuddin. Allegations against Varun were anonymous, and his strong rebuttal gave Netflix the opportunity to follow due procedure and close the complaint with credibility. In the case of Phantom, Anurag paid for his cover-up by shutting down the company, although there still is criticism over Netflix continuing to work with him. The Nawazuddin saga, however, could prove to be far more difficult to contain or explain away. While it’s true that cancelling Sacred Games may be unfair to a lot of people involved with the show who have nothing to do with the allegations against Nawazuddin, it’s pertinent to ask what the point of a movement like ‘Me Too’ is, if there are no consequences to the powerful men who’ve been named. And if there are no consequences, won’t people continue to normalise sexual harassment as they have all these years? The collateral damage is unfortunate but then, all of us have to be collectively held accountable for pushing such violence under the carpet and enabling perpetrators. For instance, Anurag continued to work with Vikas despite knowing and believing the account of the survivor. Unless the repercussions are serious, people will always find excuses to maintain their relationships with powerful men who occupy influential positions in their network, thereby further silencing survivors of sexual violence. An independent investigation against Nawazuddin could backfire for Netflix, with more witnesses coming forward against him. It is also likely to be a long-drawn process, throwing show timelines into chaos, and a PR nightmare which the company might not be able to tide over. The complainant is a former Miss India who has come out in the open with the allegations. Nawazuddin has already faced the heat for fabricating accounts of his personal life involving other women, including Niharika Singh, in his now-withdrawn book published by Penguin Random House. That he took the book back with a token apology on Twitter after Niharika and others called him out does not inspire confidence in his credibility. He is the face of Sacred Games, much like Kevin Spacey was the face of House of Cards. Facing immense public pressure following several allegations of sexual assault, Netflix kicked Kevin out of the show and decided to wrap it up with a final season with a woman in the lead. The decision Netflix takes now could also be a litmus test for what this movement has truly meant for the Indian entertainment industry. Does Netflix think scrapping the show altogether will help its image? Or is the movement strong enough to cost Netflix its credibility – and viewership – in an emerging market like India, should it choose to go ahead with the show along with Nawazuddin at the helm anyway? Would the company wait for the rage over Me Too to fade away, and choose numbers over ethics? Check out Nawazuddin Siddiqui as Shiv Sena leader Bal Thackeray!